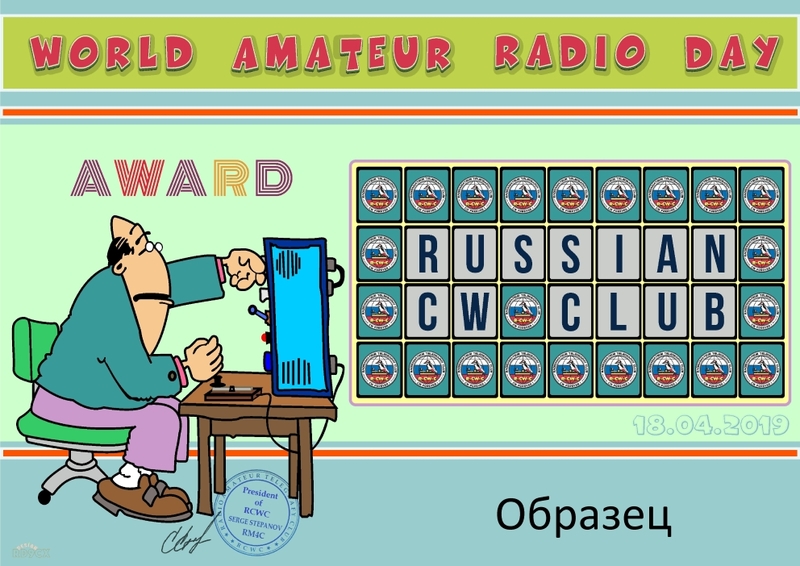 The diploma is founded by RCWC club in honor of the World Day of the radio amateur (on April 18 th). with radio amateurs from various 18 countries and territories of the world according to the list diploma of "DXCC". Carrying out time: with 18-04-2019 (00:00UTC) - to 18-04-2019 (23:59UTC). The demand for the diploma is formed in the form of an extract from the hardware magazine. To observers the diploma is issued on similar conditions.